Rayne wins the cute award on our farm. She has coverage to die for from the tips of her ears to her toes. She has extreme staple length, good fineness and a nice boxy frame. She is bay black with a bit of grey coming in on her front legs and chest. She has grey in both her dam and sire's ancestry, so she has a really good chance of producing grey. You can't go wrong with this looker. 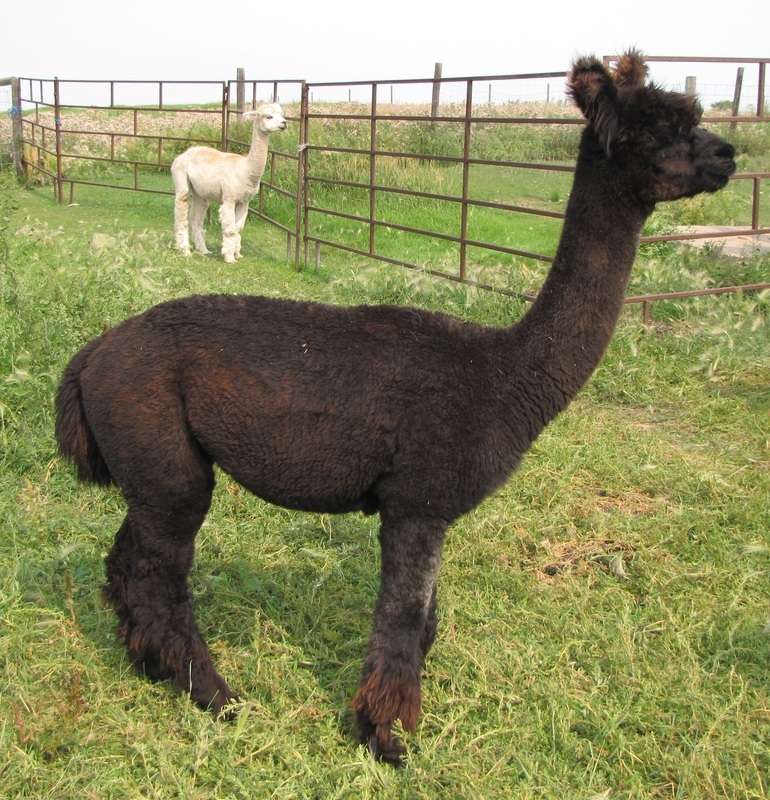 ​Rayne was bred to a grey male Spell Greystoke for a 2019 cria. Shopping for grey, this may be your girl.